My friend Kerry just called and was trying to make these. I forgot to put how much flour in the ingredients. I have updated it, but if you have already printed out the recipe you will need to add 1 1/3 cups of flour to the ingredients. I was inspired by the Pinterest Pin at the link above to make this delicious dessert pictured below. I made the Baked S'mores from the Apron Gal at The Apron Gal - Baked S'mores, but with a twist. I am going to add Reese's Peanut Butter cups in one half of the pan for me and I will add the Hershey Bars on the other half for my husband. I featured a link the The Brady Girls Blog this week Cookin' Up Good Times - Reese's S'mores. I had wanted to make the Brady Girls recipe, but it is too windy today in Denver and will be the whole weekend to roast marshmallow outside. 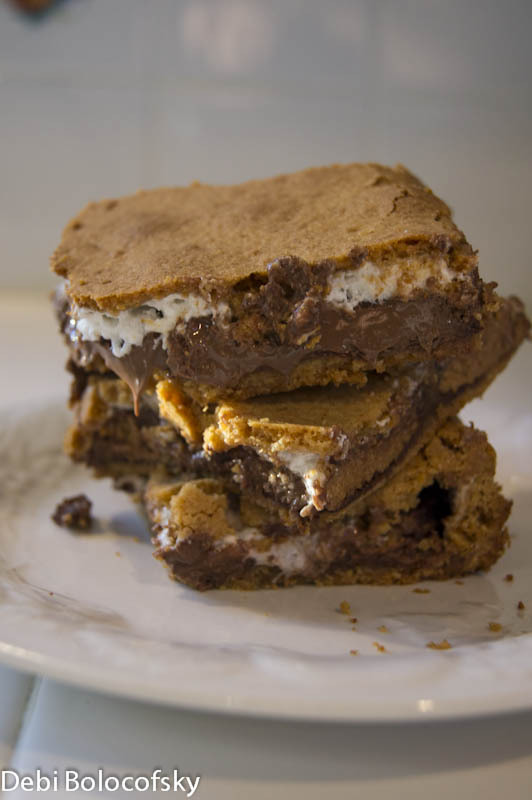 When when I saw this recipe for Baked S'mores, I realized that this was the answer to my craving for Reese's Peanut Butter Cup S'mores. I must say these Half and Half Baked S'mores and Baked Reese's S'mores were outrageously good. I of course had to test both last night. 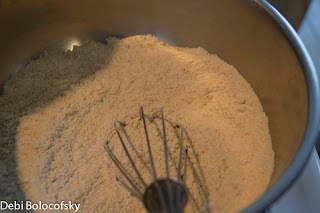 The recipe from The Apron Gal is so simple to follow and easy to make. So here goes. recipe courtesy The Apron Gal, Baked Perfection, and Cookin' Up Good Times. Preheat oven to 350 degrees and spray a 9x13 inch pan with non stick spray. 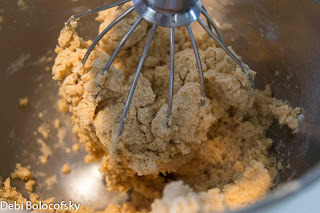 In a large bowl mix butter, brown sugar, and white sugar until light. 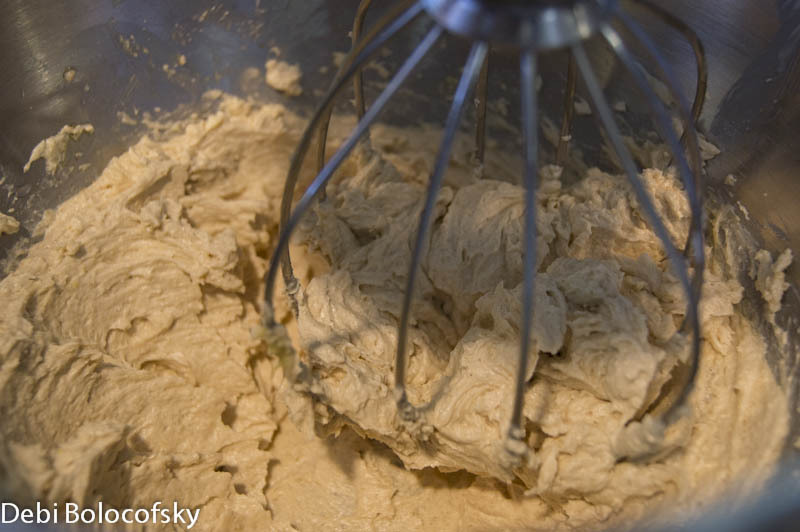 Then add egg and vanilla. Mix well. In a separate bowl whisk together flour, salt, graham cracker crumbs, and baking powder. Next add the flour mixture to the butter mixture and mix well. 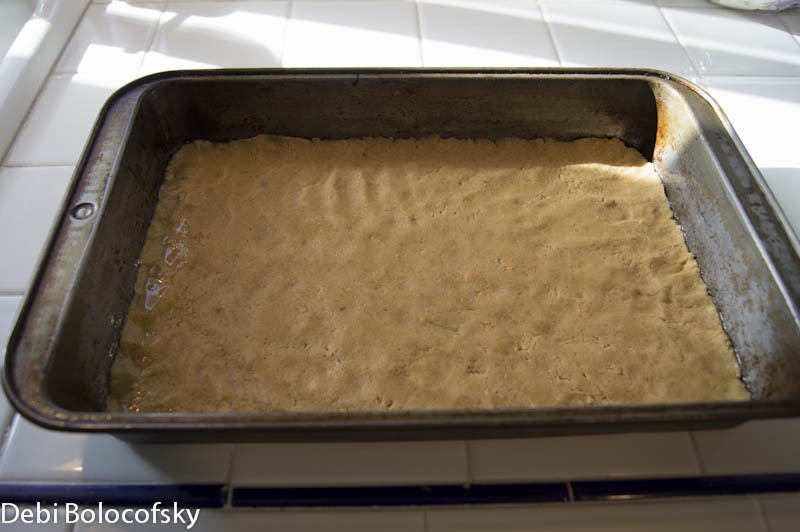 Next separate the dough in half and spread one half in the bottom of the prepared pan. Place the 2nd half in a large ziploc bag, and roll it out to the same size as the ziploc bag. It can be about 2 inches narrower then the bag. Set this aside until you have finished with the fillings. Now sometimes I get distracted, and this was one of those times. I forgot to take pictures of the next steps, so I will just have to tell you what to do, or you can go to The Apron Gal - Baked S'mores Recipe, she did not forget to take pictures. My recipe is a little different, because we will be also using Reese's Peanut Butter cups. So now, place your first Hershey Milk Chocolate bar and break your second bar lengthwise, so that you have 2 long rows of bars. The chocolate bars should fit on 1/2 of the pan. Next unwrap the peanut butter cups and start placing them next to the chocolate bars. I had 3 rows of 4 peanut butter cups next to the chocolate bars. Next, spread the marshmallow creme on top of the chocolate bars and peanut butter cups. I used a knife, and just did it very slowly. Next, you will cut open your ziplock bag. Pull the sides all the way back. The bag is wider and shorter then your pan. Once I had the bag pulled back all of the way, I then spread the dough to make it longer, so that it would be the length of the pan. 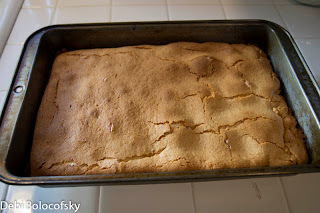 Then I flipped the bag on top of the marshmallow creme, so that there was a top crust. As you can see at the end I still had to piece it together a little bit. Next, put it in the oven and bake for 30 minutes. 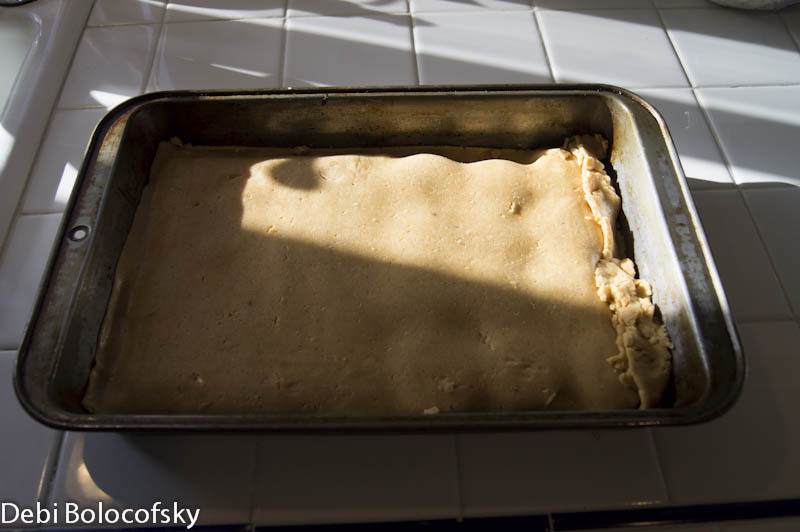 Once done, pull it out of the oven, and let it cool off, before cutting. I let it cool for about 45 minutes and then cut the pieces. The second picture on the page is how it looked cut. I would love to hear what you think of this recipe, or what desserts you are making this weekend. Looks great! Thanks for sharing at the All Star Block Party! Thank you for the opportunity to share my recipes. This looks so great!!! So yummy!!!! I'm newest follower.. This is so good. Hope you like it. Oh good heavens Debi... these look divine! Hope that you enjoy them Meg. Have a great day and thanks for stopping by.